When you engage in regular exercise, you’ll sleep better. Sleep deprivation negatively impacts your health in a variety of ways, resulting in weight gain, high blood pressure, a weakened immune system and more. So many people come down with colds and the flu this time of year, and your immune system needs to function at optimal levels. Stress is an unavoidable part of life, but exercising could help relieve your symptoms and improve your overall feeling of well-being. Exercise helps boost your endorphin production, which is your feel-good hormone. Elevate your sense of well-being by working out regularly. It’s quite common for people to soften up and pack on a few pounds during the coldest months of the year. When this happens, you’ll have to work even harder to lose the weight come spring time. Working out consistently could help maintain your current weight so you can look and feel better throughout the entire year. Seasonal Affective Disorder could affect as many as one in four Americans, but exercise can help keep the blues at bay. The lack of sunlight can disrupt your circadian rhythm, which controls your internal body clock. One of the best methods to prevent SAD is to take a walk during the day, which exposes you to sunlight and lifts your mood. When you spend all your time indoors, you breath in the stale, recycled air from your heater. If you step outside for a walk or a run, you expose yourself to fresh air. With so many reasons to exercise this winter, it could still be hard to motivate yourself to work out. Going for a run in single digit weather certainly is not appealing to most people. In the colder months, gyms become more crowded, which may not be your cup of tea. Why not invest in a swim spa from Spa Hearth & Home? Working out is much more appealing on the coldest days when you’re submerged in hot water. Plus, you’re not in a crowded gym pool, so swim spas offer an even more relaxing experience. If you are recovering from an injury or have any joint issues, swimming offers a low-impact alternative to other types of cardiovascular exercise. When you’re not working out, you can use your swim spa as a hot tub, which is always a plus. Relax and let the jets gently massage your sore, achy muscles. All your stresses will melt away within minutes. 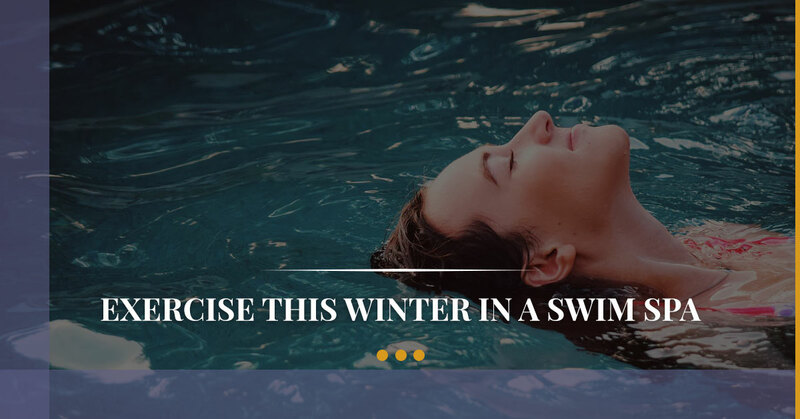 Are you interested in purchasing a swim spa to stay fit this winter? Our spa store offers plenty of different models to choose from. Check out our well-stocked showroom at filled with outdoor patio furniture, hot tubs, swim spas and more in Maple Shade. Visit Spa Hearth & Home today.